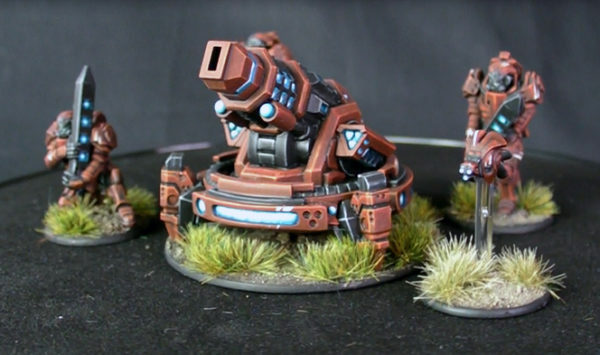 Today we bring you another preview – straight from the Warlord studio painters’ desks – the Algoryn AI Heavy Support Team with Mag Mortar! The Mag Mortar is a very large calibre magnetic launcher built to lob a heavy shell at relatively short ranges. Crewed by 3/4-man AI Heavy Support Teams, they have access to a range of Special Munitions – such as Scrambler, Arc, Blur, Scoot, Net and Grip – which allow the crew to tailor each shot depending upon the target – ensuring maximum effectivity. The Mag Mortar is a common type of artillery found in most forces – these magnetic launchers are designed to lob very heavy shells at low velocity – meaning that they are more compact than X-howitzers although they sacrifice range. Mag mortars make excellent close support artillery but can be vulnerable to enemy assault. 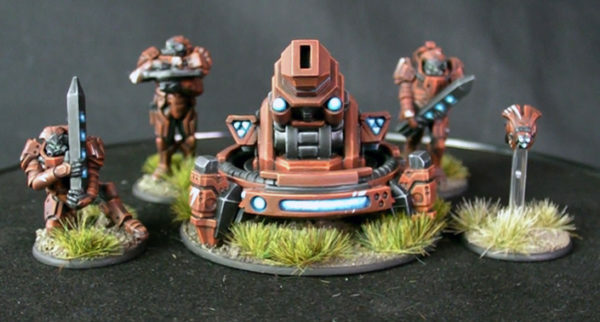 They are especially useful against massed targets because of their double template blast area – with D10 hits, they can smash even the most substantial units. Now’s the time to get started playing Beyond the Gates of Antares – with the Quick Start Rules now available to download in a number of languages! 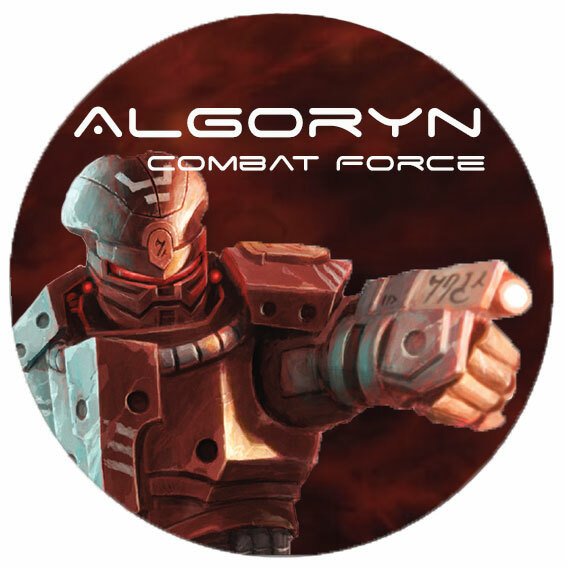 If the forces of the Algoryn Prosperate particularly peak your interest, then look no further than the Algoryn Combat Force – the perfect one-click bundle deal to get you started with all of the core components of an Algoryn force – all ready to ship within just a few working days from Warlord HQ!